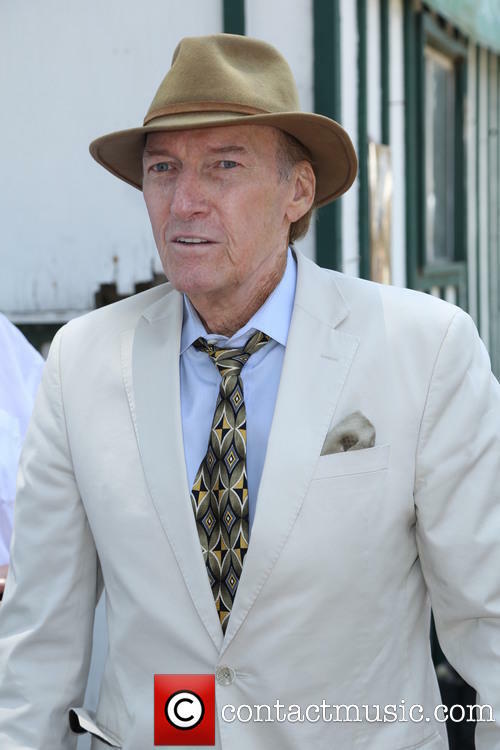 Just heard that the prolific character actor Ed Lauter died yesterday — and RIP. He topped over 200 screen or TV credits, and I bet I have seen somewhere between a fourth and half of those, at least, many of the movies when they first came out, plus his recurring role on Psych as the episodes aired (I’d have to rate Psych as one of my favorite shows of recent years). For purposes of this blog, though, Lauter deserves a mention because it was spotting him that completely sold me on Musso & Frank. The place was great anyway, but when I noticed Lauter walk past in his hat and head to the end of the bar, I knew I was in Hollywood. Looking around for images on the net, I found the one above where he wears the same hat — one of a series shot during an event held in the Beverly Hills Polo Club. Not claiming any rights to the photo, of course — just want to show you Lauter and the hat. This entry was posted in Film, News and tagged Ed Lauter, Musso & Frank, Psych. Bookmark the permalink.